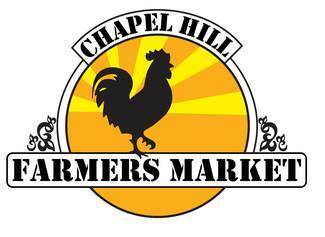 The Chapel Hill Farmers' Market: Volunteer at the Chapel Hill Farmer's Market! Volunteer at the Chapel Hill Farmer's Market! Volunteer support is an important part of the Chapel Hill Farmers' Market. Please sign up to volunteer for a few hours Saturday mornings and support local farmers, artisans and agriculture in our community. The Chapel Hill Farmers' Market accepts SNAP/EBT payments, as well as FMNP WIC and SR checks. We have a doubling program that provides support for families in need. You can sign up for an hour to help set up the market tents, and put out signs and banners, or if you have a few hours you can staff our Market Booth, which requires selling market merchandise, answering customer questions and handling the SNAP/EBT token sales system. **We do ask that before you sign up for a 10am-noon slot at the Market Booth, you first have a training session during any of the 8am-10am slots. ** The market manager is available for training only from 8am-10am, and must rely on volunteers to staff the market tent from 10am-noon while attending to other market business. We rely heavily on dedicated volunteers to be present during a very busy time to make sure all our customer needs are being met. We also have fun special events that need extra hands such as Tomato Day and Brew Fest! Thank you for volunteering at the Market! Location: 201 S. Estes Dr.